Following T.J. Dillashaw’s win at UFC 227, Duane Ludwig feels like its time for his fighter to drop down to flyweight. 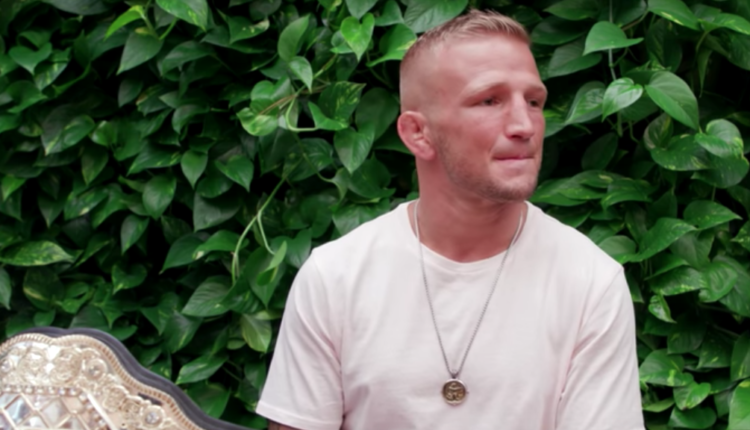 The current UFC bantamweight titleholder was looking to drop down for a fight with Demetrious Johnson, but due to an injury, it would end up being Dillashaw in a rematch against Garbrandt, and Johnson taking on Henry Cejudo. Dillashaw would drop his rival in the first round, while Johnson would lose his title to Cejudo via split decision. Even thought Cejudo may not have the same appeal as Johnson, Ludwig wants Dillashaw to make the move. Ludwig claims that Dillashaw’s best option is to move down to flyweight instead of featherweight, because its closer to his natural weight. Ludwig said that Dillashaw is not a very big bantamweight, so it would make more sense for him to move down to flyweight than up to featherweight. The goal is to collect belts and upgrade his all-time great status.